The weather in the UK necessitates a cardigan or cover-up most of the year. I would estimate that 10 out of the 12 months of the year is for general knitting. With the other months taken up for something lighter. I would say that the majority of my knitting is more autumn/winter based. 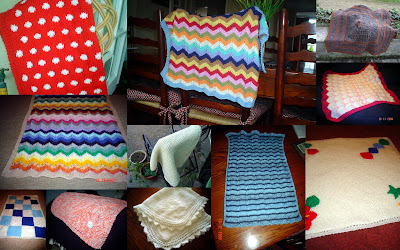 I love making blankets and throws for the home, these I can just pickup and do at any time. I also knit lots of hats and scarves. Plus IF, the weather is hot, there is nothing worse than sweaty palms and yarn! Oh my goodness your garden is Beautiful! 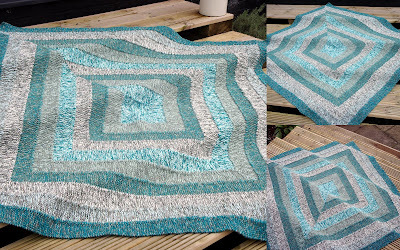 Just love the pattern and color combo on your last blanket photo- so soothing. More garden photos! Beautiful! Also, I'm so impressed by how many blankets you have made, and they all look fantastic. Also, Morocco is such a nice pattern. Your garden is stunning! No wonder you don't get as much knitting done during the summer months when you are tending it! With a garden like that, I wouldn't get any crafting done, I'd be outdoors as much as possible just to enjoy it to its fullest! Gorgeous! 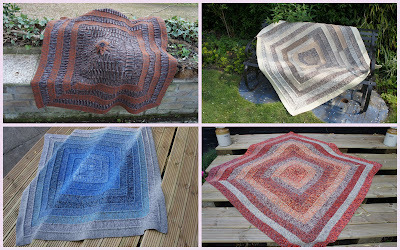 Wow, beautiful blankets and a gorgeous garden! Nature will usually eclipse yarn - and your garden is wonderful! You really do have a lovely garden, lovely blankets too, I love the zig zag colourful ones! Lovely garden Sue, love the vegie patch. I too swing between a love of gardening and a need to knit. 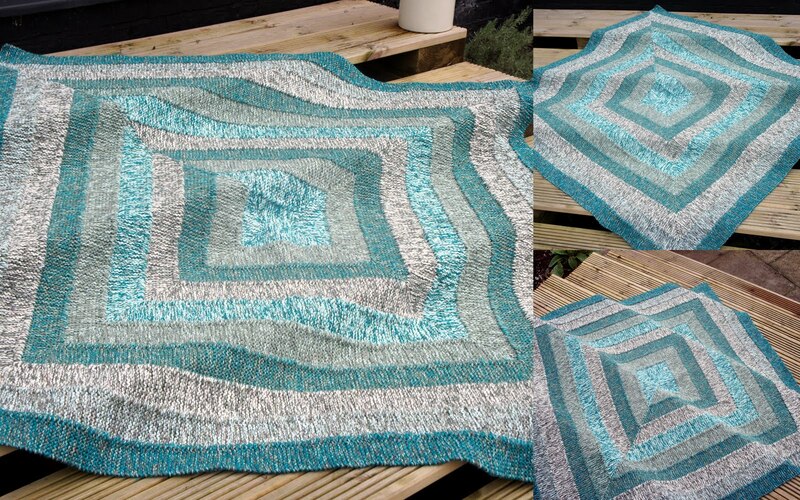 I tend to knit only in the evenings as the rest of the time I'm working or in the garden. Wow! 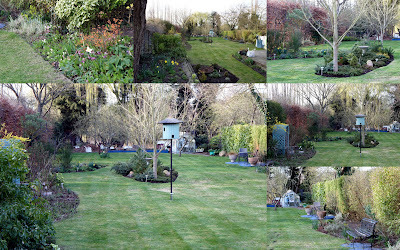 Such a gorgeous, roomy garden! And so many blankets. I think I envy you! Wow, your garden is absolutely gorgeous! And those blankets are amazing. Knitting things for the home is so fun. What do I like best - your knitting or your garden? Both are so beautiful and perfect. That's a lot of blankets! They're a big commitment, but you really come through. Nice work!